Without the use of welding and other complex tools. Possible mechanical damage from hitting an obstacle on the road. Читать далее о лучших герметиках для глушителя-->Состояние системы также зависит от качества предыдущего ремонта, если такой производился. Все эти факторы негативно влияют на глушитель, превращая его в расходный материал, который периодически нуждается в осмотре, ремонте или замене. It is easy to recognize a system failure - the symptoms are a change in exhaust sound or gas exhaust into the cabin. In the early stages of the development problem, you can use sealant. 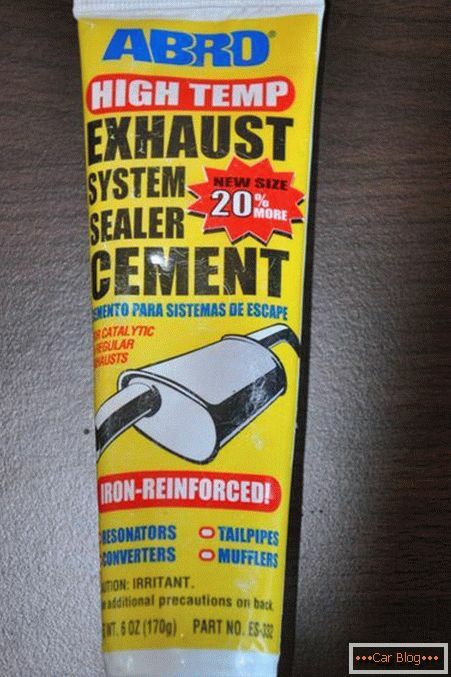 This affordable and easy-to-use tool deals with many muffler problems. Such a mass consists, as a rule, of various synthetic (acrylic, silicone, etc. ), metal and ceramic (increasing the bond strength and heat resistance) components. However, sealant is not a panacea for repairing a muffler. He copes only with minor damage - small cracks, burnout of metal or gaskets, and so on. Such repair of the exhaust system is a temporary measure to extend the service life, increasing it by a year and a half. After this time, the unit will still need to be replaced. 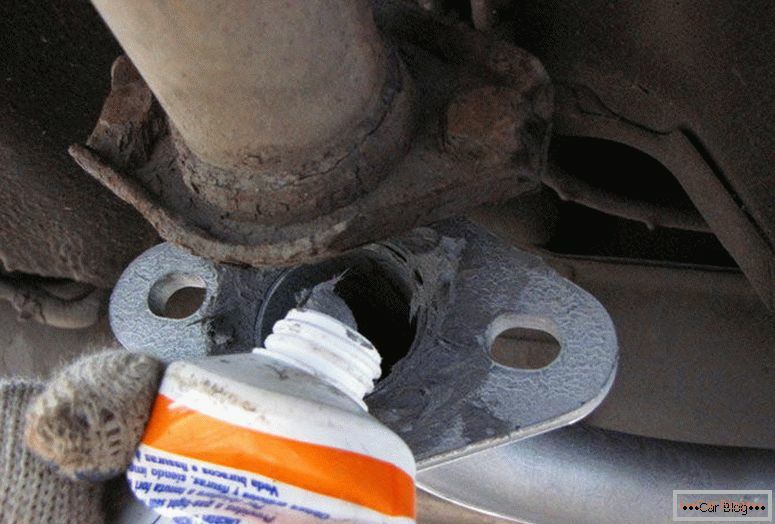 Sealants in the form of paste, glue and cement (including ceramic compounds) are best suited for repairing the rounded structures of the exhaust system - pipes connecting cavities, catalysts and other parts. If the driver has with him a kit for quick repair, then breaking the muffler, even on the road, will not cause much trouble. Keep in mind that sealants can only be used on external surfaces. Internal damage can only be repaired when the muffler is fully unpacked, which almost no one does today, since it will be easier and cheaper to purchase a new unit. Comparison of units that do not fit among themselves in size. In this case, is used as a gasket. 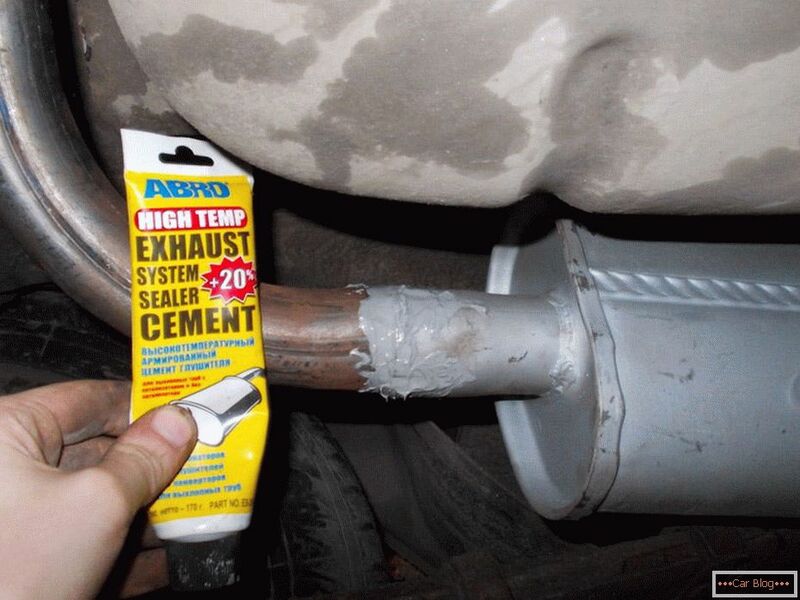 One package of heat-resistant sealant, the weight of which averages 200 grams, with the rest is enough for minor repairs of the muffler, or for use in everyday life. 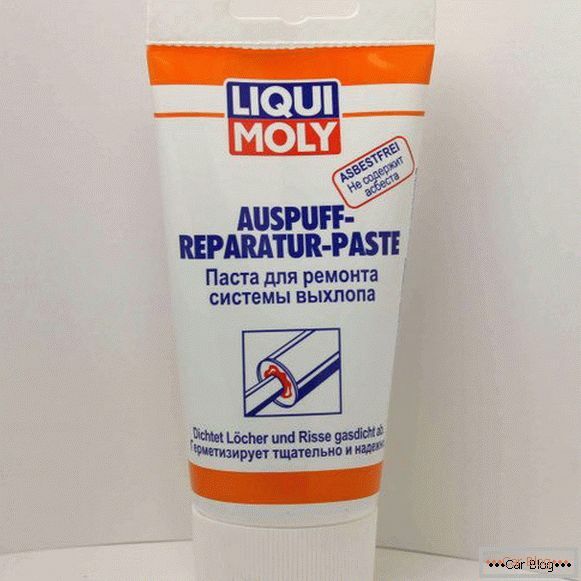 The tool from Liqui Moly can be used with most of the known seals, has no toxic secretions, withstands high pressure and temperatures (up to 1400 ° C). I open sealant withstands temperatures up to 1100 ° C and high loads. The main advantage of the sealant of this company - rapid hardening. The tool sets in 10 hours of vehicle downtime or in 10 minutes of engine idling. Thus, the CRC exhaust repair kit is the best option for use on the road, allowing you to quickly return the car to service. The rest of the sealants require more than two hours, and sometimes even whole days to set. The tool CRC provides noise insulation units, does not contain solvents, protects against moisture, heat and damage. Suitable for repairing any part of the exhaust system. This sealant has a much smaller range of use compared to products from other companies, but not inferior in quality. It allows compacting and isolating aggregates from noise, minimizing the chance of breakage. Means has no shrinkage that provides the primitive volume after drawing. Grabs in 24 hours, allowing you to quickly move to the operation of the car. In fifth place is the production of a little-known American company in Russia. This sealant has a short curing time - about 2 hours - allowing you to quickly switch to car operation after repair. The tool has a heat resistance of 1400 ° C, resistant to moisture and physical damage. 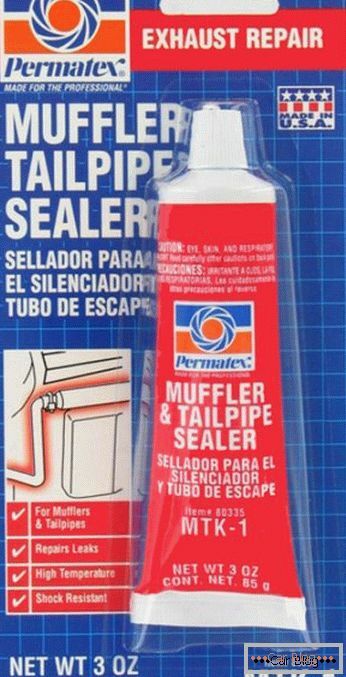 Like other sealants, it is suitable for working with any part of the exhaust system. Car enthusiasts who wish to insure against any damage to the exhaust system should always carry with them a kit containing high-temperature sealant for the muffler and a small spatula for its application. 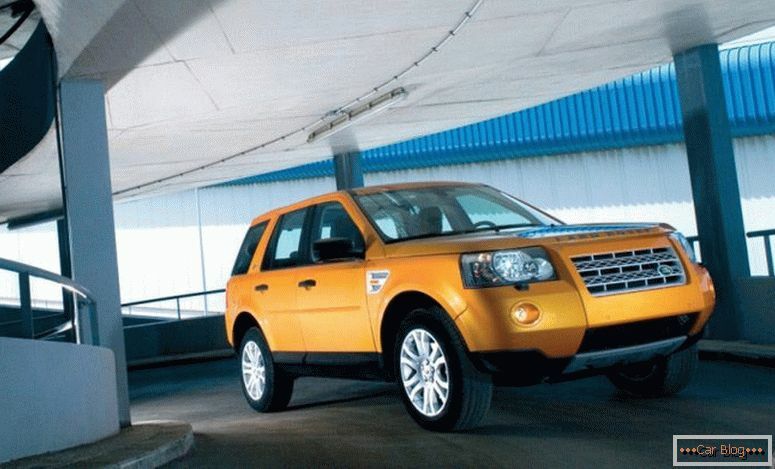 For use on the road, it is worth looking at the means that have the fastest setting. For many years, the products of the best brands have managed to prove their quality and reliability. 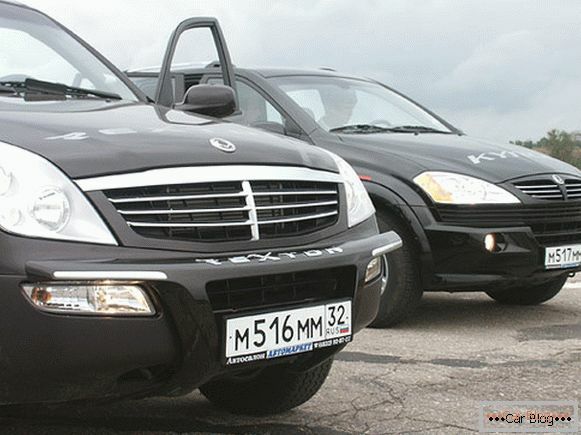 In russia, pick-ups are increasingly taken.